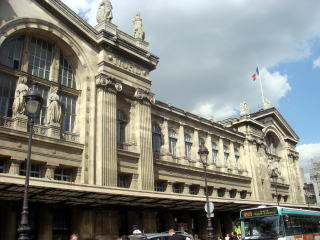 from the Gare du Nord ( The North Station ), and one of the largest and oldest railway stations in Paris. 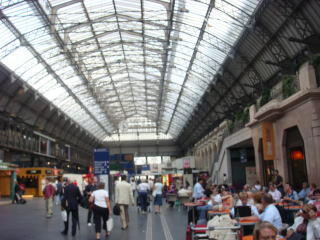 Wien, Austria, via Germany, departs from Gare de I'Est ( East Station ) 6 times a day ( 2010). 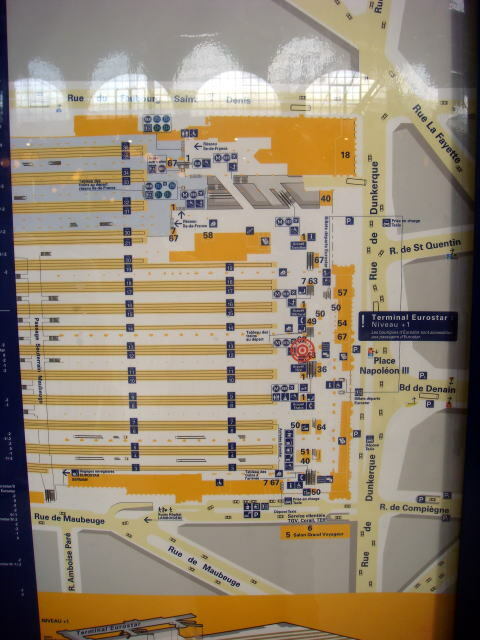 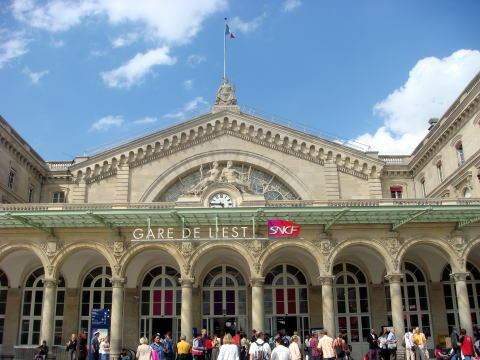 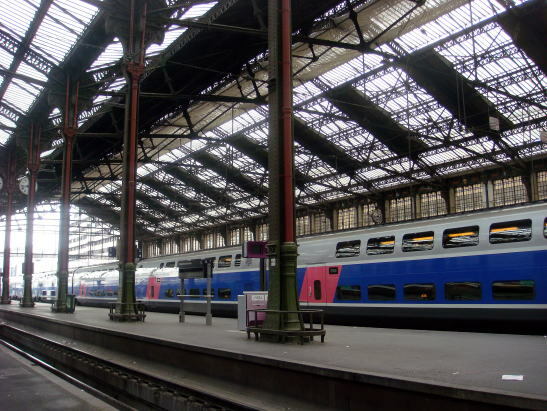 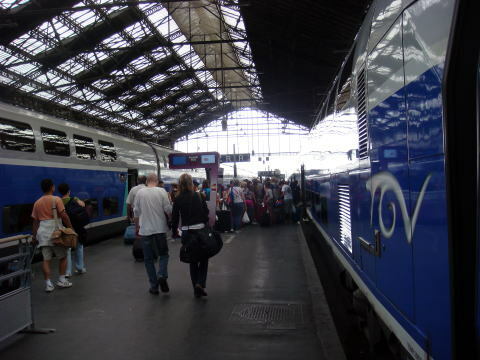 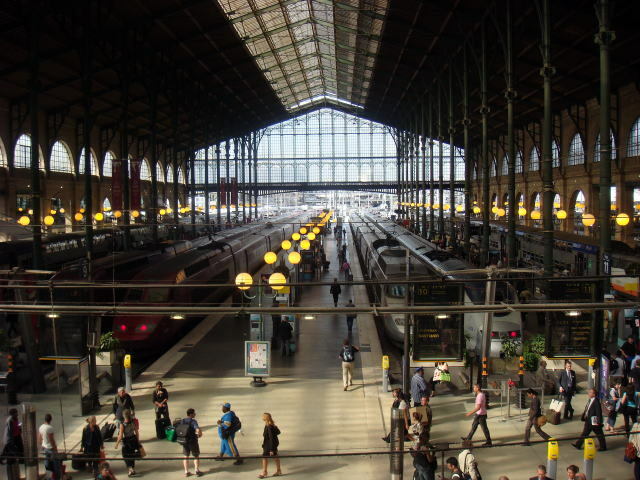 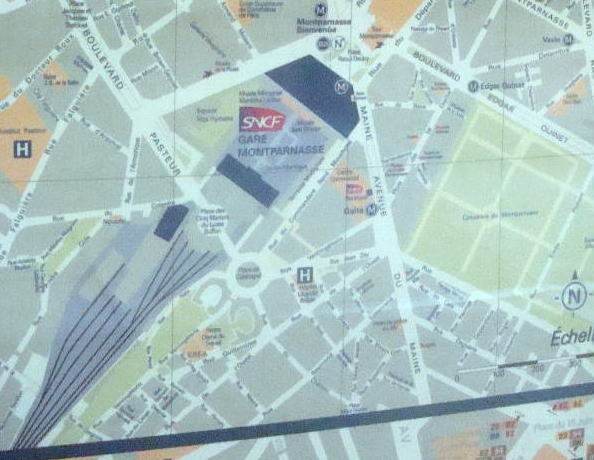 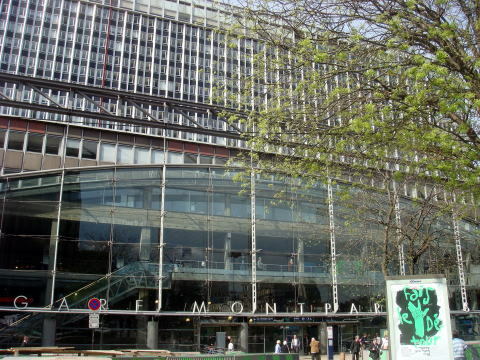 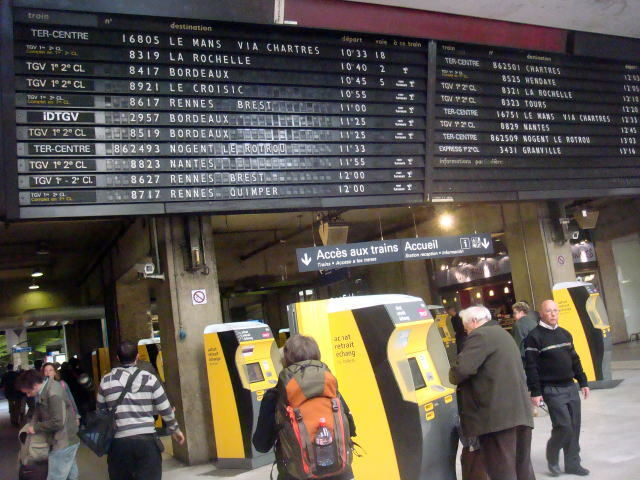 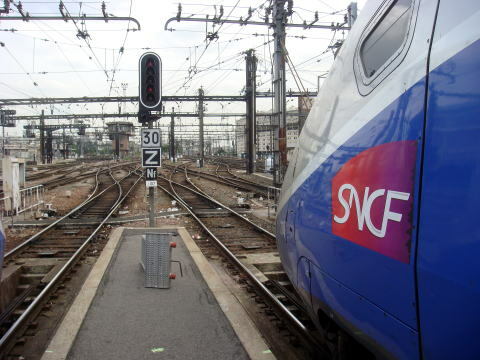 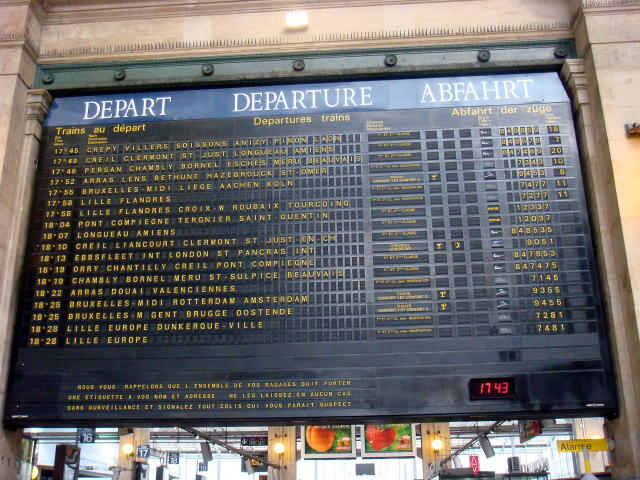 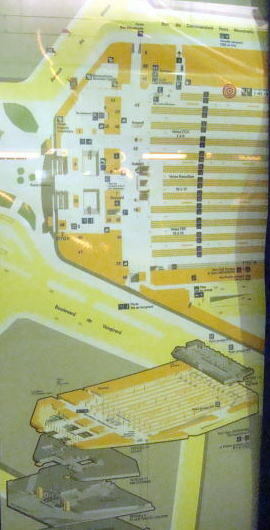 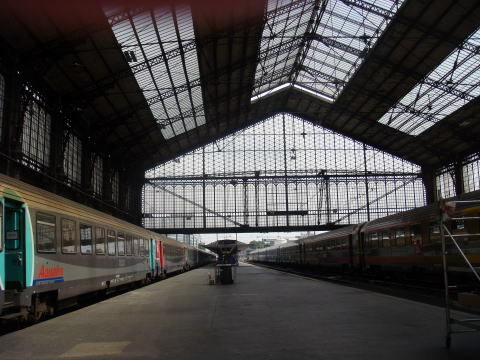 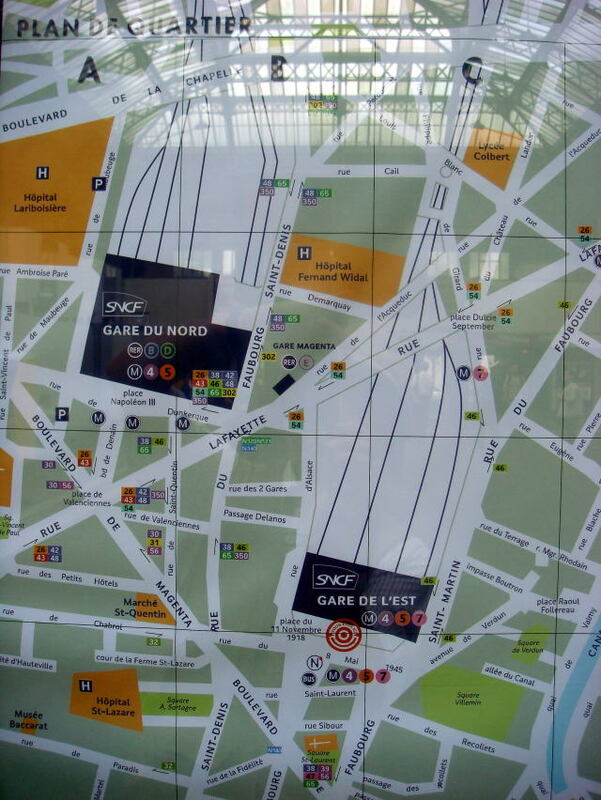 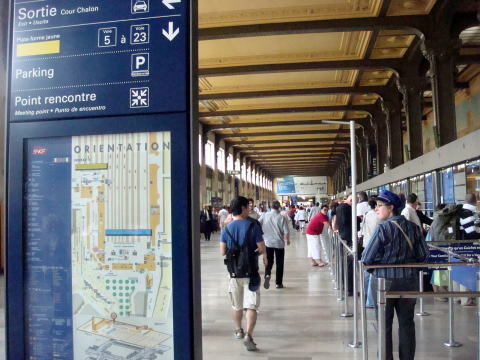 (L) Both the Gare du Nord and the Gare de L'Est stands close, but no direct passage between two terminal stations. 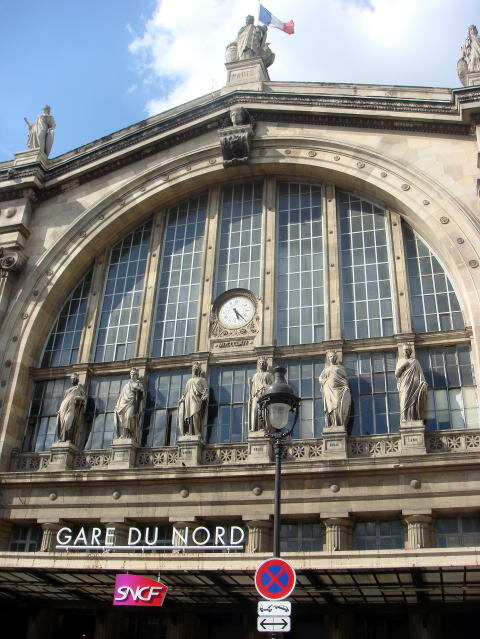 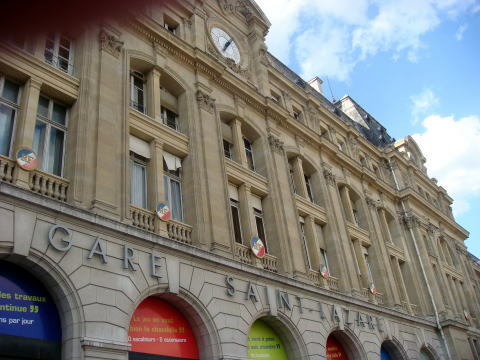 The Gare du Nord ( The North Station ) is one of the six large terminal stations in the areas of Paris. 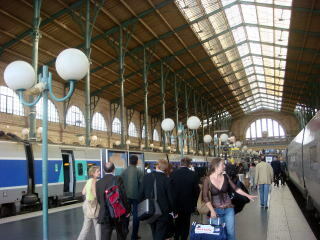 from Gare du Nord ( North Station ) to London, England (2010). 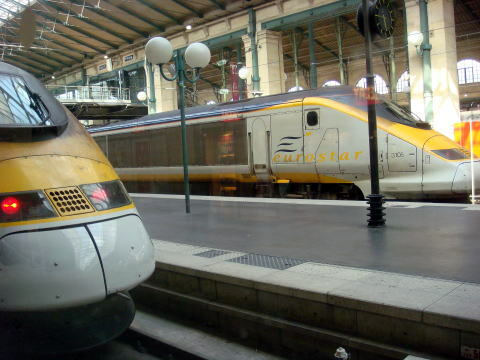 Platform 3-6 : Eurostar to London, UK, via the Channel Tunnel. 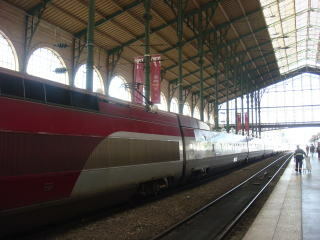 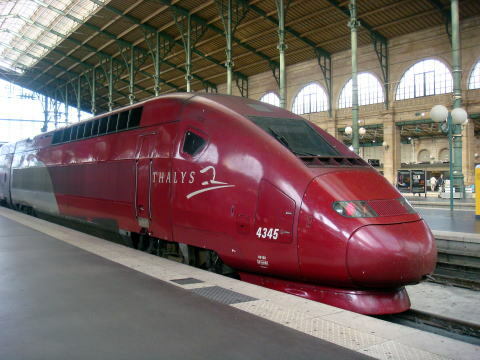 Platform 7-8: Thalys to Belgium, Germany and the Netherlands. 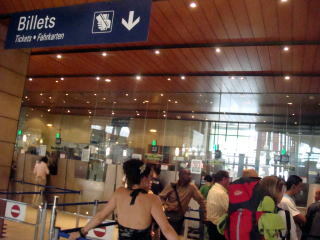 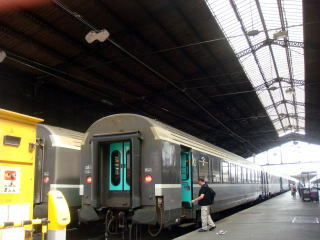 Platform 9-29: TGV to Northern France and Main Line trains. 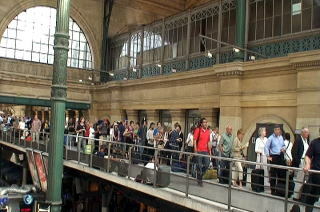 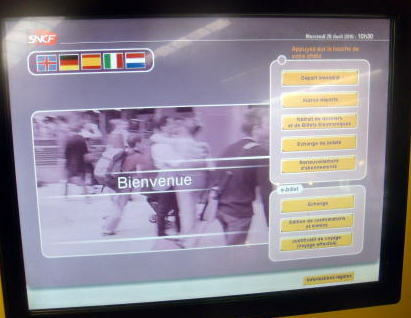 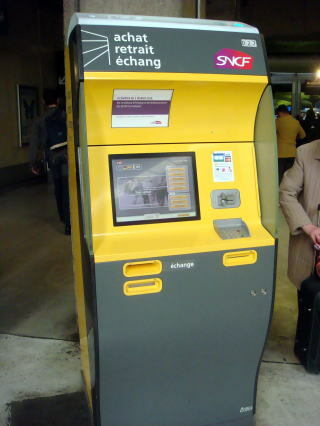 (L) Eurostar passengers are requested to show a passport at the custom office at the Gare du Nord. 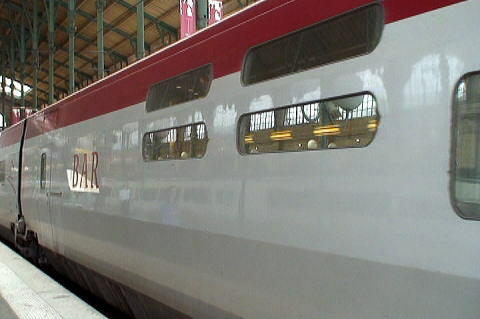 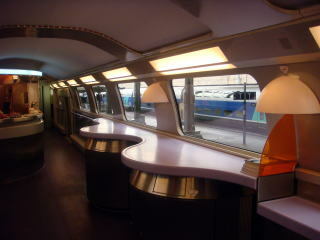 (R) Eurostar trains for London, UK, are waiting for departure. 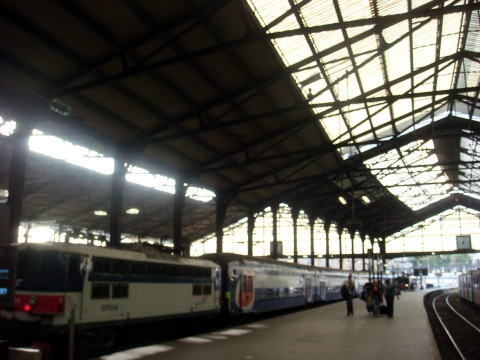 (L) A TGV train on the platform of the Gare du Nord. 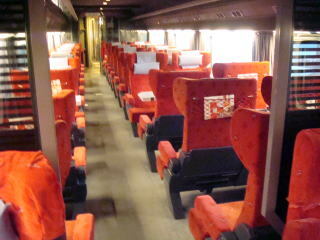 It might be a local train. 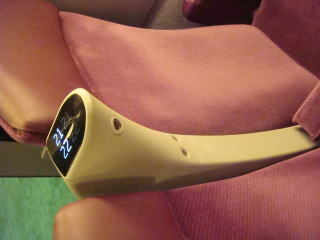 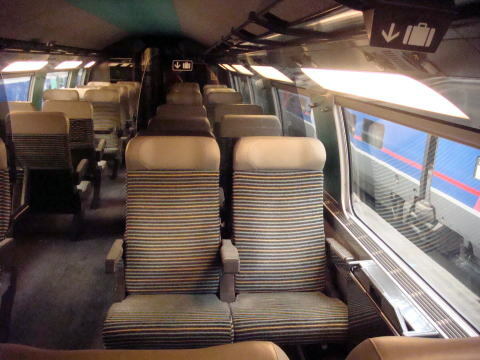 of 120 in the first class (comfort1) and 257 in the second class (comfort2). 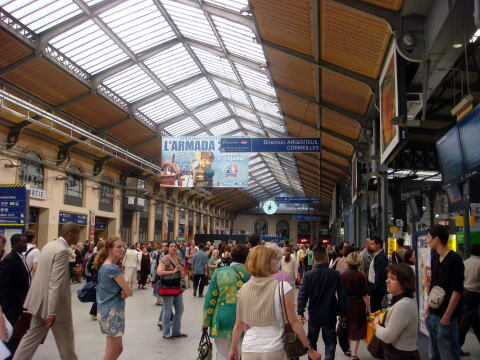 busiest in Paris, behind the Gare du Nord, handling 274,000 passengers each day. 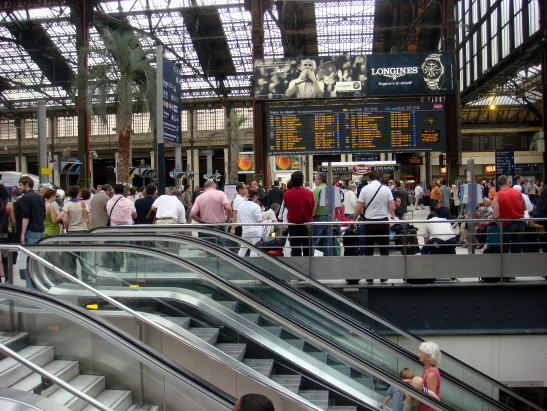 about 25 million passengers each year. 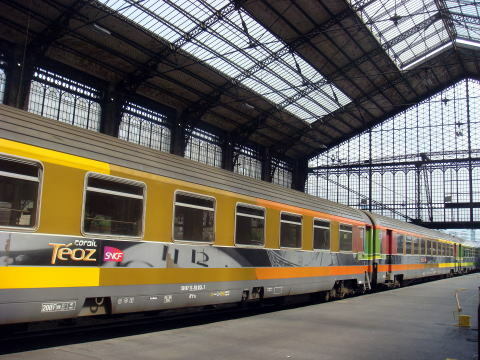 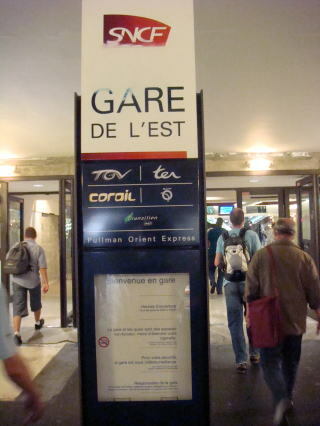 (L) Corail Teoz was launched by SNCF as the existing Corail trains were replaced and modernized. 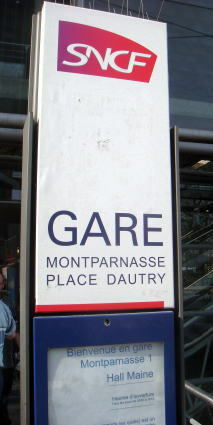 It connects the southern area of France with Paris. 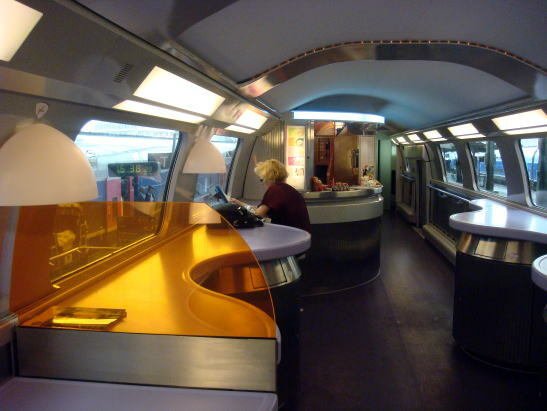 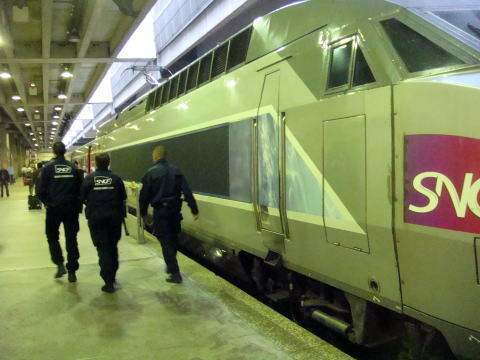 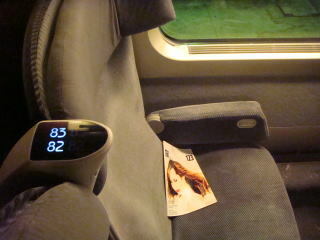 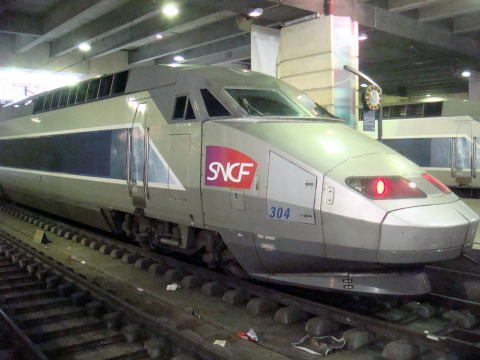 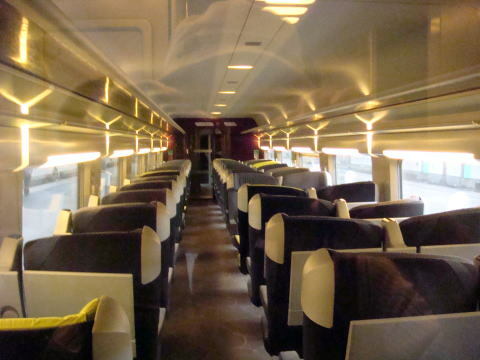 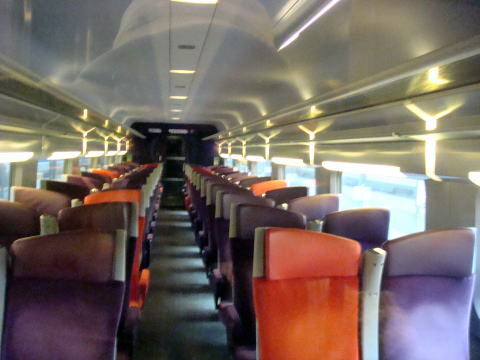 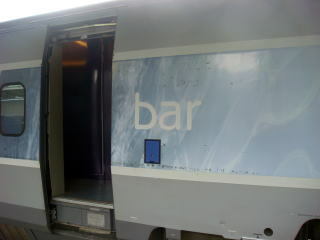 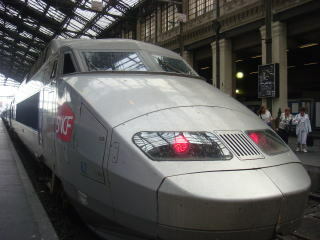 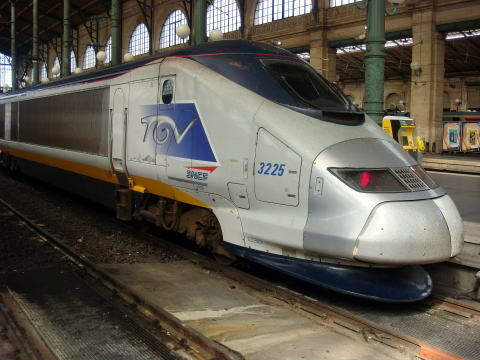 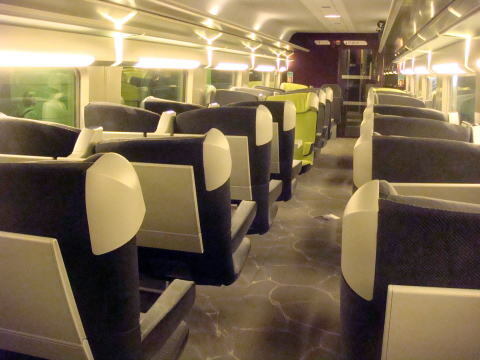 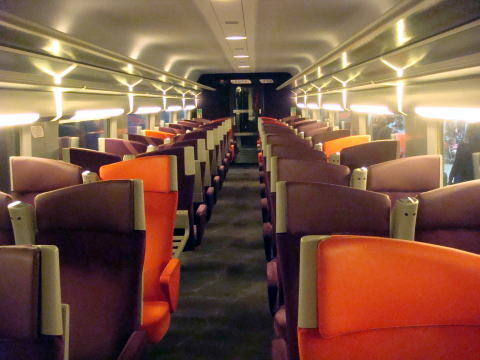 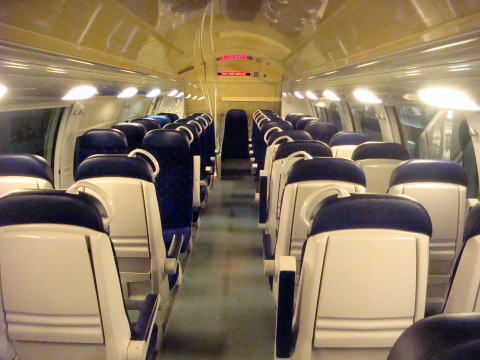 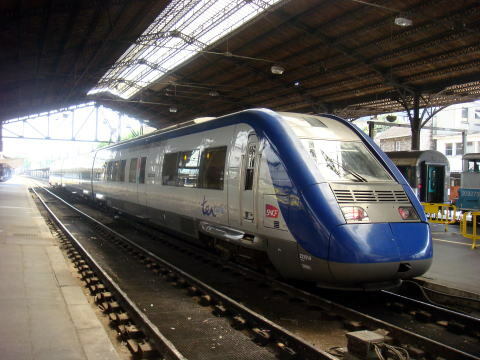 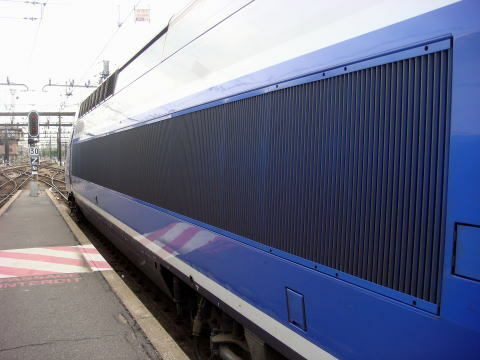 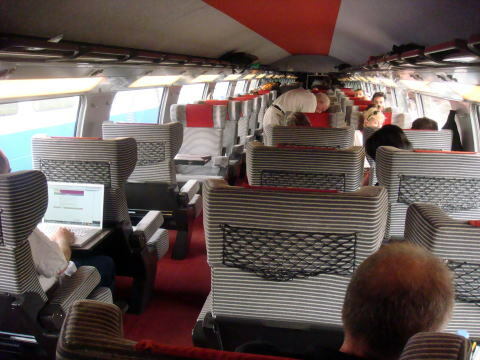 This SNCF train has a big body and provides a comfortable trip. 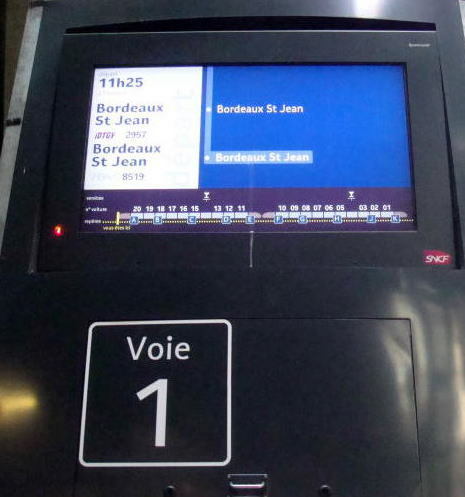 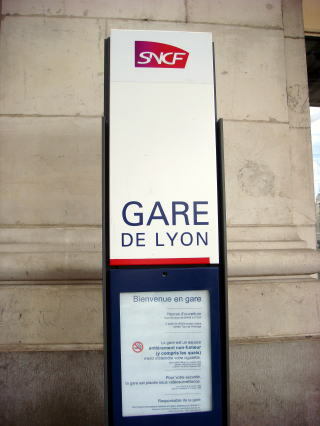 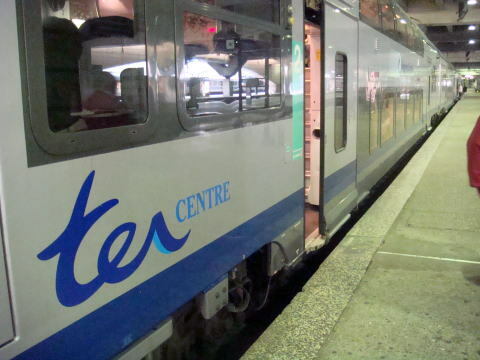 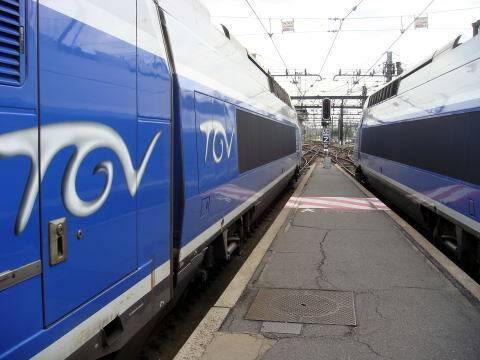 (R) The 'Ter' means the express local train service operated by the SNCF. 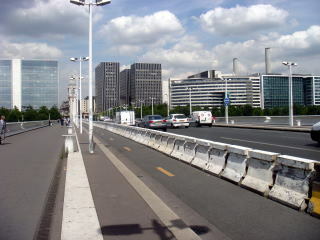 from here at 15:50, each day (2010). 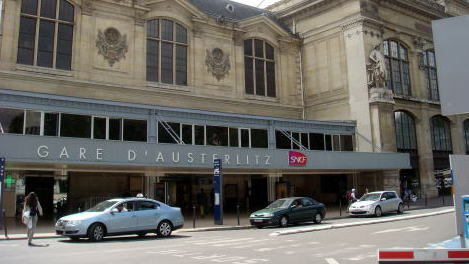 About 50 million travelers use this station per annum. 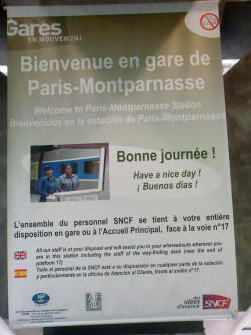 (L) This board says 'All staff is at your disposal and will assist you in your whereabouts wherever you are in this station'. 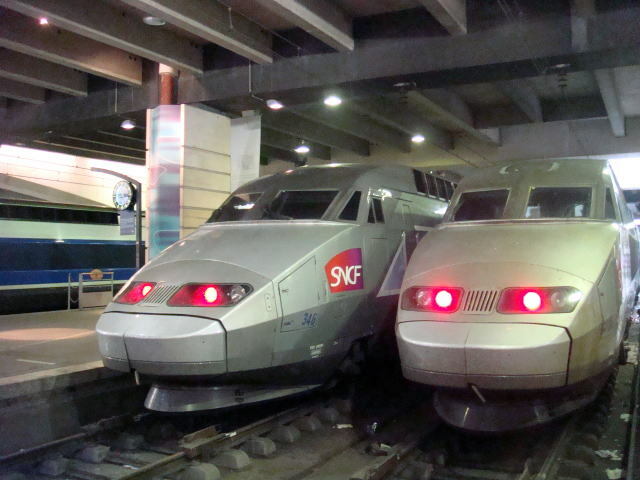 (R) TGV trains are waiting for a departure at the platform for a long-distance train. 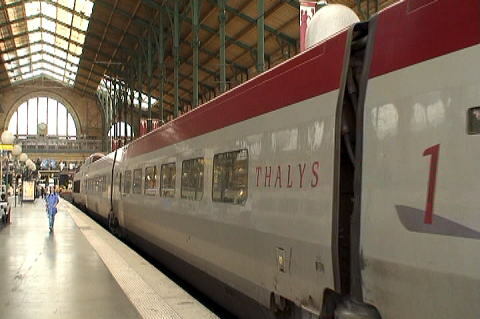 each day ( 2010 ). 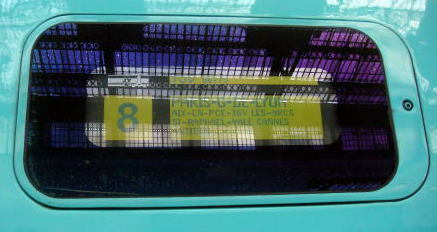 (R) A train electric sign board shows the destination and the number of the vehicle. 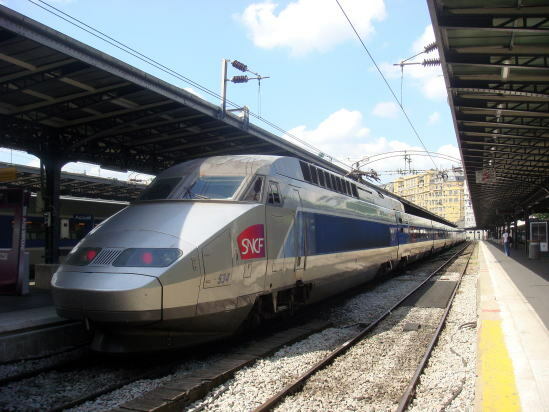 COPYRIGHT(C)2006-2019 JUNHAKU MIYAMOTO: ALL RIGHTS RESERVED.